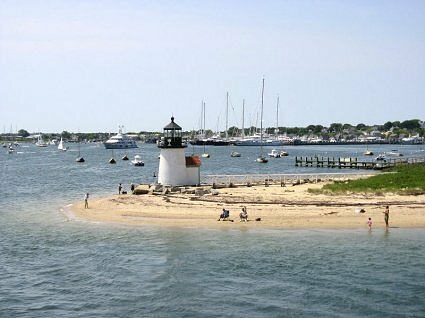 Charter a yacht in New England and off of Cape Cod, Massachusetts visit the tiny island of Nantucket. Just 3.5 miles by 14 miles in size, the crescent-shaped island offers over 100 miles of pristine sandy beaches, all of which are accessible to the public. 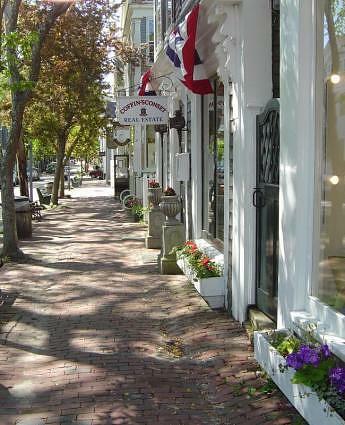 Nantucket is a natural stop to include in a yacht charter itinerary of southern New England and the islands. Originally a booming whaling port, Nantucket has been named a National Historic District and has architecturally changed little since the 19th century, as seaside cottages, large Sea Captain homes, and old-fashioned lamps still line its streets. 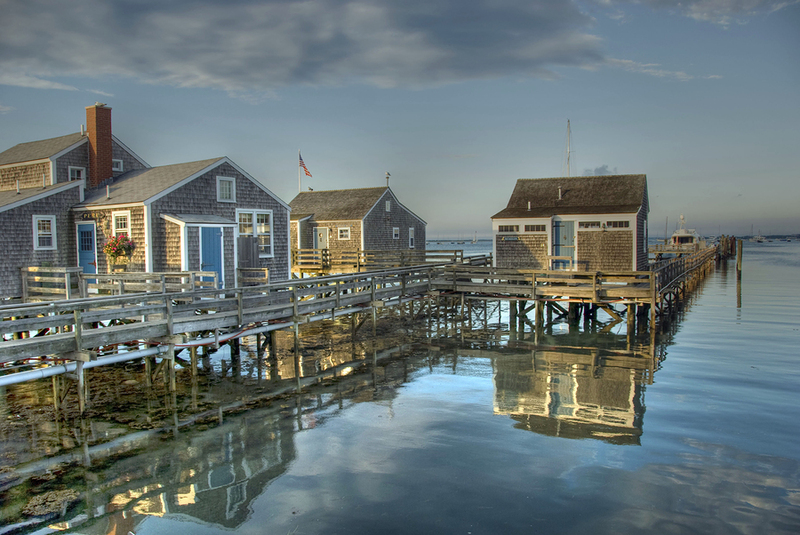 Whaling was a major industry on this island and financially left an enormous stamp, as both Sea Captains and sailors flocked to Nantucket for the highly dangerous but financially lucrative, (for the lucky), hunt for whales. 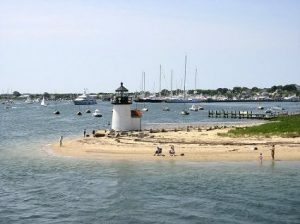 At the end of the 19th century in increase in size of the whaling ships marked the end of Nantucket as the whaling and financial center, as the ships could no longer access the harbor. The industry soon moved to the larger harbor of nearby New Bedford. With the loss of the whaling business, Nantucket slumped into sleepy island life; building stopped and left the island as is in the lost heyday of the 19th century.At the harbor front, where the great whaling ships set out on their hazardous journeys to return years later – if at all – pleasure boats now find safe harbor in one of the finest docking facilities in the world. Inland on this idyllic “elbow of sand,” the wild moors open to the endless sky, as nearly 40 percent of Nantucket is protected conservation land. Several areas and habitats have natural groups of plants and animals that are now rare to this region and even the world. So cruise into Nantucket and to enjoy this natural beauty and protected land where the springtime blossom of daffodils and forsythia give way to summer’s lush flowerings of roses and hydrangea, and wander the historic streets of downtown Nantucket, peeking into secret gardens and down the alleyways of yesteryear. 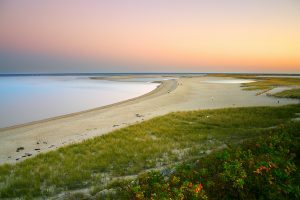 Nantucket BeachesContact Northrop and Johnson For More Information Today!